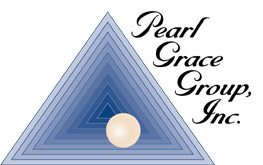 At Pearl Grace Group, Inc. we are ENGINEERS and SCIENTISTS - evaluating technical challenges and creating solutions; TRAINERS - supporting our technical clients and the community by sharing our experiences and expertise; and TRUSTED SUBJECT MATTER EXPERTS - partnering with our clients in assessing their current or planned conditions and developing a path forward. Laura Hofman is the President of Pearl Grace Group, Inc. Laura is a licensed Professional Engineer in Tennessee and California, and a Certified Hazardous Materials Manager. She holds a Bachelor’s Degree in Chemical Engineering from Bucknell University.nnLaura has more than 30 years of experience in nuclear and facility operations; radioactive and hazardous waste manager; safety and risk analysis; environmental management; and engineering design, review and oversight. Laura has served as a technical advisor to nuclear and hazardous facilities, assessing and then developing programs to improve engineering and operations through management and worker training, programmatic change recommendations, and performance improvement program integration. Her experience includes all phases of facility planning and operation from design and environmental impact analysis, procedure development and readiness assessment, operations optimization, emergency preparedness, waste management, to decontamination and decommissioning. Robert has over 40 years’ experience in nuclear and facility operations; safety and risk analysis; and engineering design, review and oversight. Robert has specialized in nuclear engineering, particularly instrumentation and controls and thermal-hydraulic phenomena. He has been responsible for NUREG development covering safety and instrumentation assessments. He has supported applied research and verification testing for monitoring and control systems and has direct experience in calibration and determination of accuracy and precision for all instrument types in processes. Robert has a B.S. and M.S. in Nuclear Engineering from the University of Tennessee. Beverly has more than 40 years’ experience in all aspects of environmental health, specializing in nuclear and high hazards operations, risk management, environmental safety and health programs, security and safeguards including emergency response, environmental restoration and decommissioning. She is Board Certified in Integrative Medicine. Beverly has conducted research, operations, operations support, compliance support and performance assessment at both industrial and governmental facilities; she has completed tasks and had project and/or line management positions at almost every DOE facility and site. She is a Certified Human Performance Practitioner and certified Six Sigma and Lean Six Sigma Champion. 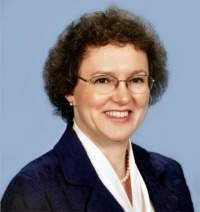 Beverly completed her PhD in Ecology (Ecosystems Analysis) at the University of Tennessee (Oak Ridge National Laboratory) in 1973. Copyright 2014 Pearl Grace Group, Inc.